When considering the use of display advertising Ireland’s businesses could do little worse than consider these great ads. What makes them so great? They’re thought-provoking, fun and on-brief. In short, its the kind of content that can help a company to engage with potential online custom. Highly intelligent ad, where you interact with it to help save a wrecked car. By using the actual real phone number, they invite you to dial it for real on your keyboard. It registers every number pressed, with the car becoming more ‘fixed’ as you dial the number. It finishes with the car fixed and you familiar with the number. Cheeky. Effective. Smart. This one is a genius example of display advertising Ireland’s businesses should consider. It makes smart use of the Nissan’s brand logo to enforce the message the ad wants to get across. That being, Nissan equals safe. And Nissan wants you to be safe, and buckle up. A deceptively simple ad that so many Irish brands and businesses could utilise. Whatever the logo, something creative and thought-provoking can be drawn from it to enforce your message. 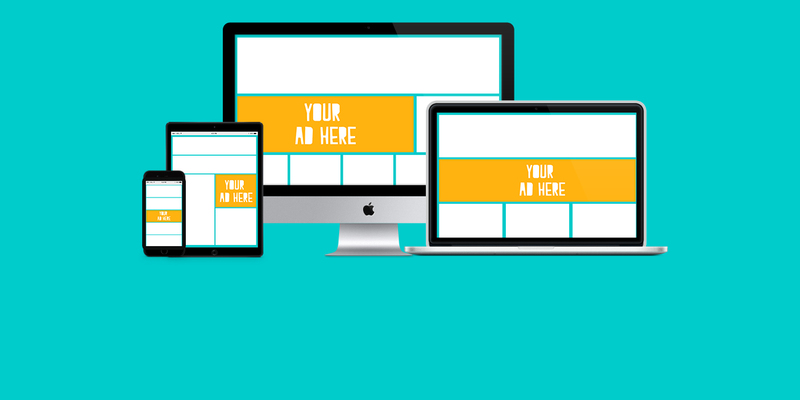 Another tool for effective display advertising. You can see below the how the ad starts and how it finishes. A novel way of driving home Nivea’s message of ‘anti-ageing.’ We see a clock face telling the actual ‘real’ time, with a backwards image of a Nivea product. When you scroll your mouse icon across the clock, it flips revealing the new Nivea ‘anti-ageing’ product, and shows the clock, now having been flipped, going backwards. Very clever. Thoughtful display advertising Ireland’s businesses (who want to make a splash) should learn from. Pure tongue-in-cheek here with this one. Again, its a brilliantly simple interactive ad. Upon first glance, it is a bathroom scene, and we are invited to pull down on the flush chain of the toilet (see below). When we do, a pair of hands appear playing a beautiful classical motif on the violin. Flush again, and we get the saxophone. And if you flush it again? Yep, the concertina. Amanco’s message then bleeds onto the screen, “Not every sound deserves to be heard… Amanco Silentium PVC Soundproof Pipes.” I presume they mean the sound of flushing here guys, don’t be gross, k?! Funny, provocative display advertising Ireland’s businesses could utilise for their brands. A great example of using something seemingly unrelated to your product, to make your audience consider it’s effectiveness. On a wooden floor sits a turntable with a vinyl record on it, ready to play. The record starts playing, but the opposite of what should happen, does. The record stays still, but the turntable spins instead. This is down to the floor having been treated with Poliflor, of course. A clever way of boasting about the high-quality polish Poliflor can provide (seems like a dangerous floor to walk on, but what do I know?!) If an advert can make floor-polish fun, then it is a winner, clearly. A perfect way of showing how fast the Volkswagen Jetta is. The ad invites you to press play. You do, expecting a short, informative video showing the wonderful things Jetta’s can offer. Instead, it zooms by in a nano-second (or something that feels close to that!). The tagline appears: “Too Fast?” You then drag the video’s progress bar back and we see the car properly for the first time. A great way of driving the message home that you don’t expect a station wagon to be so fast, or have so much power. Simply and effective display advertising Ireland’s consumers would appreciate and certainly engage with.